Annexation Conversation: What’s the Value to Our Community? | Winter Haven Economic Development Council, Inc.
What do you think when you look at the map below of the City of Winter Haven city limits? Believe it or not, the current city population within these irregular boundaries is 40,000, while the service area for the city is 80,000. How might the community benefit by having a larger city population, without such a disjointed area? If you look up the definition of annexation, you’ll find some interesting terms… joining, uniting, adding to something more important. Those sound a little more positive than the negative connotation resulting from only looking at potential increases in taxes and fees sometimes associated with annexation of property. There are advantages to annexation not only for residents and governments, but also for potential businesses looking to move to our area. The simplest and most common method used is when a property owner voluntarily agrees to be annexed by the city. Usually referred to as a “voluntary annexation,” this method is typically used by businesses and property owners of commercial real estate. 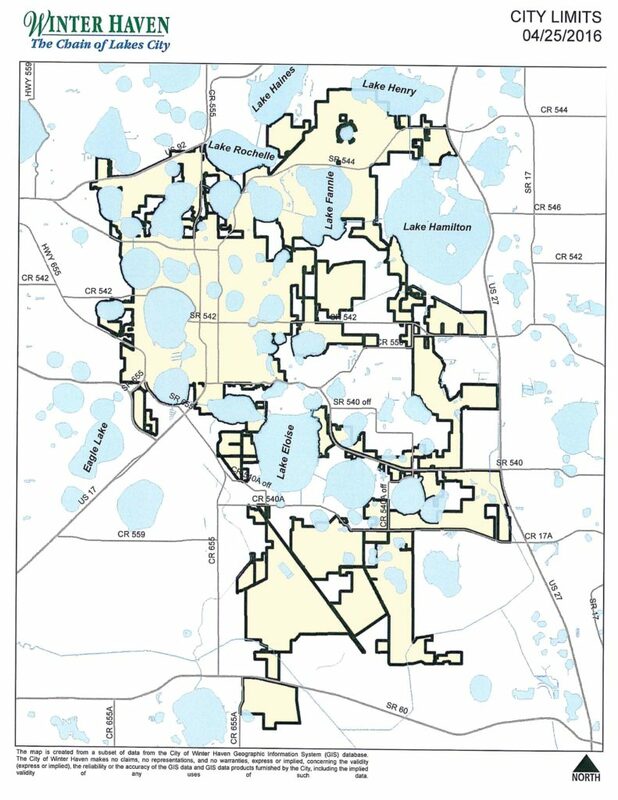 A city can annex multiple properties in one area, including those of property owners who do not volunteer to be annexed, provided the area consists of more than 50 percent of property owners who volunteer to be annexed. Any annexation that includes residents requires approval through a referendum by a majority of those residents who are registered voters. Florida law contains more detailed procedural requirements that must be followed for a city to be successful in annexing property. Regardless of the method, however, annexation is a thorough process that involves coordination by both citizens and various levels of government. For example, prior to approving a voluntary annexation, the county performs a review to ensure that the proposed annexation is contiguous with the current city limits and that the area is reasonably compact. The city also provides information to property owners, to let them know that by becoming city citizens, they will likely have reduced fire fees and water surcharges. In addition, city residents have access to all leisure opportunities without additional charges. Many times, citizens have greater access to city officials, who live in the same neighborhoods, and work toward the same quality of life. Being an integral part of the community and having a say in the decisions can be valuable for both residents and city representatives. In addition to advantages for residents, both county and city governments benefit through service efficiencies, such as when public safety responders know which areas are under their jurisdictions. Having uniformity in planning and zoning is another area that helps improve communities. Lastly, a city with a larger incorporated population can be more attractive when promoting the city to prospective businesses. Other cities have been successful with an annexation strategy that consolidates outlying areas. Ultimately, a positive annexation scenario results in the city providing efficient, quality services to its citizens, and the citizens becoming active participants in improving their community. Stay tuned for additional annexation conversations and what’s ahead for the City of Winter Haven.